The word anthropomorphism has its origin from two Greek words- anthropos and morphe meaning respectively human and form. It can be referred to as an interpretation of nonhuman things or events through human characteristics. The earliest form of anthropomorphism can be seen way back in time when human characteristics were attributed to God! In some cultures, Gods were given an animal form as well! Whatever form it was, it had become the duty of man to pray to them as religious devotion seemed to be the order of the day. Even before that, one can travel back to the Paleolithic era wherein figures consisting of both human and animals have been found in the art works mostly in caves. However, non religious anthropomorphism has also been in existence parallel. Human features have been given to clouds; landforms etc and several artists have depicted natural phenomena through this technique. Literature and visual art in particular have taken anthropomorphism to a different level altogether. Called PERSONIFICATION, it has aimed to depict subjects that are abstract. Science suffered as it had been under scrutiny and criticism. It is interesting to note that animators of the past realized that animals had a significant role to play when it came to conveying a message or narrating a story. Even before Walt Disney’s iconic character Mickey Mouse made his debut, Russian stop-motion animator Vladislav Starevich had used insects in his movie The Revenge of a Kinematograph Cameraman. Felix the Cat followed 7 years later and it was only much later that usage of anthropomorphic characters being to gain acceptance. The usage of animals was already in existence in several fables and stories of the distant past. If an animator has to keep in mind to include anthropomorphic animals, it is necessary that an anthropomorphic impulse is required so that physical traits of the animals are the same whereas any human identity could be given. These animals should also be able to carry out varied representations as well as be able to depict certain traits like gender, race, ethnicity, identity, generation etc. Some movies have taken anthropomorphism to a higher level. They have made animals speak. Not just that, being in their original habitat, they behave and emote in the exact manner that humans would have done had they been in their place. On the other hand, some characters would have moved out from the jungles and forests which would be their original place of residence. A significant number are known to reside in cities just like you and me! The physical features would remain more or less the same and would depict a life that we ordinarily do on a regular basis. It is immaterial whether they are bipedal or quadruped animals. But they would have an evolved appearance and have a convincing human form. Anthropomorphism, especially of animal characters, has been widely used in live-action movies of today. The audiences tend to be sympathetic if an animal is shown to be in trouble or in dire circumstances and tend to neglect if a fellow human being was in such a state! Also, children feel drawn to animals as they feel equal to them. If animators’ have made the animal with a cute look by making the eyes and the forehead large along with a thin chin, it is known to automatically create an appeal in them. As per sociologists, this is because of the lack of these features in us which creates an imaginative empathy which one sees solely in on-screen animals! Released in 1944, this was an animated musical movie produced by the Walt Disney Productions. Apart from showcasing Donald Duck ‘s birthday, the plot involved singers and dancers to give him company! Since most of the story was set in Latin America, reference to an Aracuan Bird was brought about. Along with that bird, singer Aurora Miranda and dancer Aurora Miranda were there to entertain the audience. It was dubbed in Spanish and Portuguese and later re-released after considerable editing 33 years later. This 1947 movie is remembered for the last time that Walt Disney gave his voice to Mickey Mouse. Since it was released by the RKO Radio Pictures, it was referred to as a package film. The film had two distinct segments- Bongo and Mickey and the Beanstalk, the former being an adaptation of the fable Jack and the Beanstalk. An interesting trivia one must be aware is that Mickey and the Beanstalk and Bongo had been planned to be produced as two separate features! This animated version of Kenneth Grahame’s novel The Wind in the Willows was released in 1949. Apart from borrowing segments from the mentioned novel, the second half had inputs from Washington Irving’s The Legend of Sleepy Hollow incorporated into this live-action film. While the first part was set in the first decade of the 20th century, the second was during the close of the 18th century. The adventures of the toad and the crane were shown to the delightful audience and marked the last of the ‘package’ movies from the Disney studios. Directed as well as written by Ralph Bakshi, this movie premiered in 1975. It was one of those live animated crime movies centering on a rabbit, a bear and a fox who go about running a crime syndicate! The theme was largely inspired by the earlier Disney movie ‘Song of the South’ and Francis Ford Coppola’s The Godfather. Despite controversies of being violent and racist, it managed to garner mixed reviews and is remembered now as a cult classic. Made in 1976, this film involved a cat taking up a challenge to travel round the world in 80 days! It was an American –Japanese collaboration made completely using traditional animation and had its share of music as well. Moreover, this move was a sequel to the 1969 released ‘Puss ‘n Boots’ and 1972 premiered Cavalier-Booted Three Musketeers. The life story of one Robert Rabbit and how he becomes a superhero was showcased in this 1986 film There were other characters like a panda, jackals, gorilla etc. The story takes place at different places and locations in and around the United States like the Grand Canyon, New Orleans to cite a few. The original The Little Mermaid was a fairy tale written in April 1837 by the Danish writer Hans Christian Andersen. Walt Disney Pictures released this movie in 1989 and talked about a mermaid princess who wishes to be human. This particular movie is credited for having ushered in the Disney Renaissance as the credibility of the studio had suffered due to a string of flops from the 1970’s to the late 1980’s. Due to the superior quality animation especially for the characters of Prince Eric and Princess Arie makes it a movie that can be watched even to this day. This 1996 film is remembered for the presence of the famous basketball player Michael Jordan alongside Looney Toon characters. It was released at a time when Jordan had made a comeback from his retirement to play for Chicago Bulls. The chemistry between Jordan and Bugs Bunny in particular made this movie the highest earning basketball film of all-time. Set in Paris, this 1997 film had four protagonists- a dog, a cat, a donkey and a rooster! All these animals would have the common desire to sing, but would not be successful due to various other reasons. Apart from landing up in jail, these animals would eventually see to the destruction of a factory during the course of the movie. Based on an Italian story The Story of A Seagull and The Cat Who Taught Her To Fly, this 1998 movie dubbed into English only in 2000. Though it was an Italian movie, the story was set in Germany and it revolved around a cat that refuses to eat a seagull as it would have got itself dirty by falling in petrol. The movie ends by Lucky (the baby seagull) joining its flock. This 2006 French movie dealt with the story of Mona, a princess who would always be sad and alone. The arrival of a unicorn ‘U’ changes her life as she not only becomes friends with it, but gets introduced to a band of musicians. Also known by its French title Le Chat du Rabbin this 2011 movie is set in Algeria of the 1930’s. The cat belonging to Rabbi starts to speak once it eats a talking parrot! The biggest surprise for the Rabbi and his daughter is when it begins to question about God and faith! The remainder of the movie showed the audience various sights and sounds associated with Mediterranean Africa. 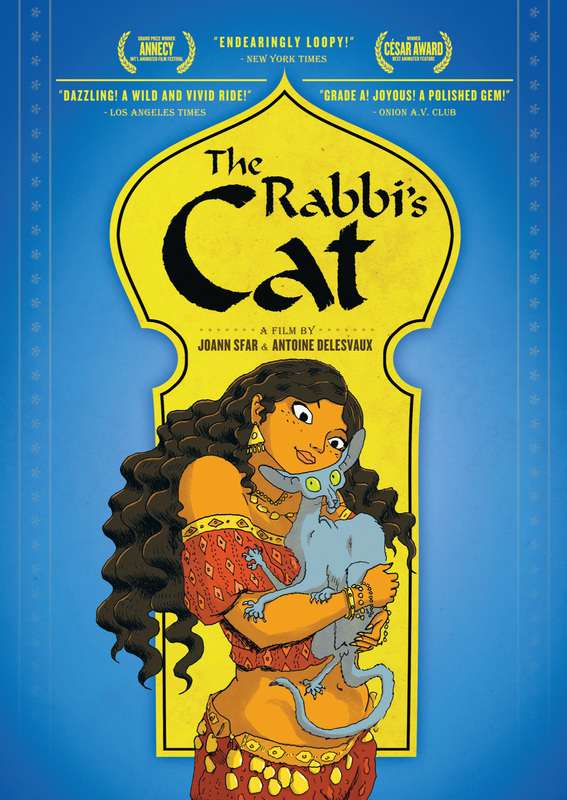 The combination of Jewish, Arab and French cultures ensured that the movie was a sure hit at the box office and also was nominated for the best animated feature in the Annie awards. 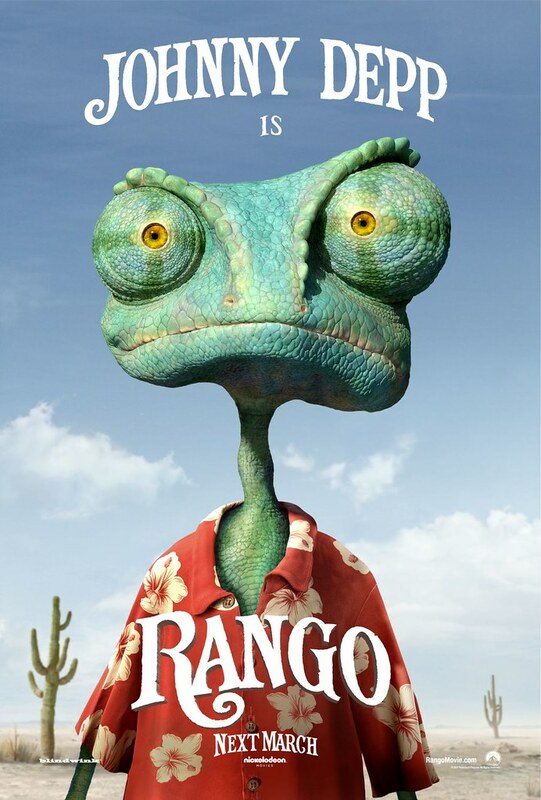 This movie also released in 2011 is an OSCAR winner in the best Animated film category. The protagonist is a pet chameleon who ends up facing an identity crisis! Landing at a town called Dirt, he becomes a sheriff overnight. The rest of the movie shows the various trials and tribulations faced by this character while discharging the role he has been assigned to. Also known as Zootropolis, this movie was released in mid February of 2016. It featured a bunny and a fox that are surrounded by other animals as they are trying to unearth conspiracy. Produced and released by the folks at Disney, it has already become the highest earning film of this year. The first part of this franchise was released in 2008 followed by a sequel three years later. The third part that came out in January 2016 has seen to the entry of a whole set of panda creatures all related to the hero Po! The entry of the villain Kai and the subsequent fights that Po puts up to protect his village makes it a must watch this summer. If this article beguiled you, there’s more awaiting you. Please have a glance on another article- All about Cartoons, prepared by the same team at Animaster Academy, the No.1 animation college in Bangalore.